62. אָדָם כִּי יִהְיֶה בְעוֹר בְּשָׂרוֹ שְׂאֵת אוֹ סַפַּחַת אוֹ בַהֶרֶת וְגוֹ’. רַבִּי יְהוּדָה פָּתַח וְאָמַר, (שיר א) אַל תִּרְאֻנִי שֶׁאֲנִי שְׁחַרְחֹרֶת שֶׁשְּׁזָפַתְנִי הַשָּׁמֶשׁ. הַפָּסוּק הַזֶּה נִתְבָּאֵר, אֲבָל בְּשָׁעָה שֶׁהַלְּבָנָה מִתְכַּסֵּית בַּגָּלוּת, הִיא אוֹמֶרֶת, אַל תִּרְאֻנִי. לֹא שֶׁהִיא מְצַוָּה שֶׁלֹּא לִרְאוֹת אוֹתָהּ, אֶלָּא מִשּׁוּם שֶׁהִיא רוֹאָה אֶת תְּשׁוּקָתָם שֶׁל יִשְׂרָאֵל אֵלֶיהָ, לִרְאוֹת אֶת אוֹרָהּ, הִיא אוֹמֶרֶת אַל תִּרְאֻנִי, לֹא תוּכְלוּ לִרְאוֹת אוֹתִי. אַל תִּרְאֻנִי וַדַּאי. מָה הַטַּעַם? מִשּׁוּם שֶׁאֲנִי שְׁחַרְחֹרֶת, מִשּׁוּם שֶׁאֲנִי בְּקַדְרוּת. 63. מַה זֶּה שְׁחַרְחֹרֶת? שְׁחֹרָה הָיָה צָרִיךְ לִהְיוֹת! אֶלָּא שְׁתֵּי קַדְרֻיּוֹת, אַחַת – שֶׁשְּׁזָפַתְנִי הַשָּׁמֶשׁ, שֶׁהִסְתַּלֵּק מִמֶּנִּי הַשֶּׁמֶשׁ לְהָאִיר לִי וּלְהִסְתַּכֵּל בִּי, וְאַחַת – שֶׁבְּנֵי אִמִּי נִחֲרוּ בִי. 64. שֶׁשְּׁזָפַתְנִי?! שְׁזָפַתְנִי הָיָה צָרִיךְ לִהְיוֹת! אֶלָּא רֶמֶז הוּא רוֹמֵז, בְּשֵׁשׁ. שֶׁכַּאֲשֶׁר מֵאִיר הַשֶּׁמֶשׁ, בְּשִׁשָּׁה אוֹרוֹת הוּא מֵאִיר, וּכְשֶׁמִּסְתַּלֵּק, כָּל אוֹתָם שֵׁשֶׁת הָאוֹרוֹת מִסְתַּלְּקִים. בְּנֵי אִמִּי – אֵלּוּ הֵם שֶׁבָּאִים מִצַּד הַדִּין הַקָּשֶׁה. נִחֲרוּ בִי, כְּמוֹ שֶׁנֶּאֱמַר נִחַר גְּרוֹנִי. זֶהוּ שֶׁכָּתוּב (איכה ה) עַל צַוָּארֵנוּ נִרְדָּפְנוּ. שֶׁכַּאֲשֶׁר הָיוּ יִשְׂרָאֵל נִכְנָסִים לַגָּלוּת, הָיוּ הוֹלְכִים יְדֵיהֶם מְהֻדָּקוֹת לְאָחוֹר, וְרֵחַיִם עַל צַוָּארָם, וְלֹא יָכְלוּ לִפְתֹּחַ אֶת הַפֶּה. The Zohar asks why ‘swarthy’ when it should say ‘black’? And answers that there are two types of dark here; one that happens when the Sun that is the aspect of Zeir Anpin stops his light from shining on me and the other kind of dark is when the children of my Mother were angry and left me alone in the vineyard. The Mother is Binah, and the children are the Children of Israel that don’t follow the Torah that is Zeir Anpin and the source of Light (sun) to the world. She is the Shechina that without our support and connections she is in a darkened state and alone in the vineyard that is the aspect of Malchut. ‘has tanned me (the Sun),’ ‘(שֶׁשְּׁזָפַתְנִי (הַשָּׁמֶשׁ’ is a work that constructed of two words, ‘שֶׁשְּׁ זָפַתְנִי’ that means ‘six tanned.’ The ‘six’ are the six sefirot of Zeir Anpin that deliver light to Malchut. They disappear from us when we ignore them and bring judgments on ourselves. When the Israelites went to exile because of their iniquities, they suffered as if their hands were tied behind their back and a heavy load put on their neck and couldn’t open their mouth to connect to the Shechina. 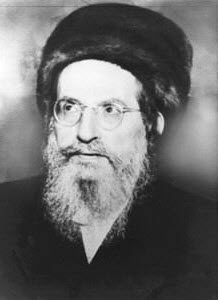 The Zohar started with a verse about leprosy and immediately jumped to the state of the Shechina in Malchut and our exile. The connection between the two is the outcome of what happens when we are far from the Light. Our studies and prayer support the Shechina that in return shines the light back to us. The skin is the aspect of Malchut and represents the manifestation of our actions. The bone marrow is the aspect of Keter (concealed). The bones are Chokmah. The Sinews is Binah as a bridge between the bones (Chokmah) and the Flesh (Zeir Anpin). The Skin is the outside layer of the body and aspect of Malchut. For example; vitamin D is related to the direct connection between the sun and our body. Lack of it affects our skin that becomes dry and looks without life. The Torah tells us to take a person with ‘skin’ issues to the priest, which is the aspect of a higher level of connection to the Light. The priest examines the person and ‘lock’ him for seven days. Within this period there is a connection to Binah on Shabbat that can heal the person. I am lucky to have the ‘D’ Daily Zohar study every day and connect to Binah and have a good ‘skin.’ I also take vitamin D (capsules) daily to maintain good physical health. I highly recommend a medical check for vitamin D deficiency and take steps to balance it in the body, Research this subject online and study the benefits of vitamin D. Purchase a good brand because most supermarket brands don’t get absorbed well in the body.